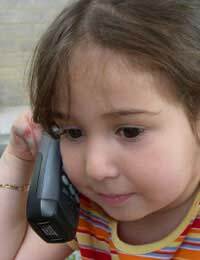 Most children start babbling and understanding words around age one. Between age two and three their vocabulary and grammar improve in leaps and bounds with periods of explosion when very rapid improvement occurs. Adult ears prick up on hearing "I ringed the doorbell" and " We're going to see the sheeps". But when children's speech is studied scientifically, it seems that in fact they get their grammar right most of the time. Though many of a three year old's sentences may be ungrammatical for some reason, this is because there are so many different things that can go wrong. The wonder is how many of them they get right. To an adult, a foreign language can appear infinitely difficult. English is a great example of a notoriously complex language, with a variety of inconsistencies and rules that seem to be made to be broken. Word order, irregular plurals, past and future tenses can drive dedicated adult foreign students to distraction. Yet all parts of all languages are usually acquired by age four, and any new language can be acquired perfectly up to age six. After that, our ability seems to tail off. These observations have led to the idea of a "critical period", after which, our brain powers have declined irreversibly so that we can never really acquire full fluency. Anatomical and physiological findings point in the same direction. Child brains seem to be qualitatively different organs from adult brains, with a greater number of neurones, whose functioning is both more active and more plastic. So there seems to be a window of opportunity which, if missed, cannot be fully remedied. Throughout history, there have been stories of children abandoned or snatched by animals to be raised away from human society. In some cases, it's hard to know if they are fact or legend, like the famous tale of Romulus and Remus, supposedly suckled by a she-wolf, who went on to found the Roman Empire. In the cases that are well documented, it seems that these children have been unable to acquire full language abilities if returned to human society after the critical period. In the modern era, there have been terrible incidents where children are discovered to have been kept isolated from human contact by abusive parents. If discovered after puberty, they can usually be taught only a few words, and very simple grammatical constructions, but full linguistic competence eludes them. Only in a few cases of children found before puberty, has normal language actually been acquired. The most famous such case was of a 13 year old girl, Genie, (a false name used in the media to protect her privacy), who had spent her entire childhood tied down in a potty chair by day and a cot at night, with almost no human contact. The case was controversial, as she was both extensively studied, and looked after by the same scientists for many years, and ethical and moral dilemmas were rife. She learned some words, but could never master syntax and grammar, and communicated more by non verbal means than with language. One of the many tests on this tragic girl showed minimal activity of her left brain (which is known to deal with language abilities) during various tasks that engage the left brain in normal people. This may have been connected to her lack of language ability, and may suggest that both stimulation and nurture are necessary for the left brain to realise its innate linguistic capacities. Of course, in cases like Genie it is hard to draw any firm conclusions about why language is not acquired. There's no way of knowing whether it's because of lack of exposure to speech during the critical period or because of the profound effects of abuse and isolation. Children don't seem to need to hear a fully developed language. Children who grew up in slave plantations, where only a crude mixture of pidgin languages were spoken, developed their own, new "creoles", with all the complexity of other languages. It seems that all they needed was some source words, and a community of other children to talk to. It's thought that sign languages arise within deaf communities in a similar way. This was seen very clearly in Nicaragua in the 1980s, when a previously isolated community of deaf children was studied and found to have essentially developed their own new sign language. The other side of the coin was the existence of numerous deaf adults, who had lived only within hearing communities, before any education or formal Nicaraguan sign language existed. They were found to be incapable of learning language, having missed out on their critical window of opportunity. The renowned linguist Steven Pinker called his popular book "The Language Instinct", in reference to the belief that all our brains at birth possess an innate template onto which any language can be grafted. In more primitive times, there was a belief that without any external influences, children would simply start speaking in God's natural language. Based on this belief, in 1211, Frederick II, the German Emperor ordered several children to be raised in silence. But he never found out what language God preferred from these unfortunates, who all remained mute before dying in childhood. Nowadays, we believe that nurture as well as nature is essential for a natural development of any language.